Trade shows can bring your business a lot of benefits, including lead generation, brand recognition, and cost-effective advertising. Without trade show marketing leading up to the event, you won’t walk away with the results you wanted. And you need to get started long before the trade show date gets close. 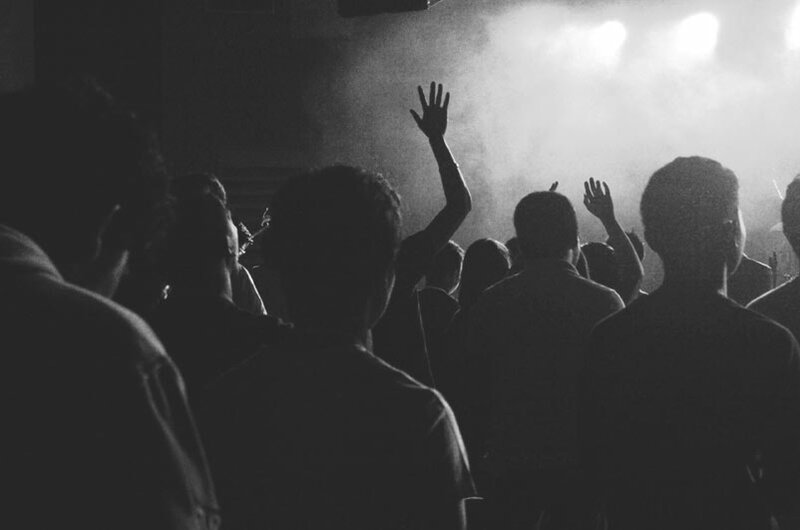 Take a look at these pre-show marketing tips to help make your event successful. If you don’t set clear, attainable goals for your trade show, your marketing attempts—and the entire event—might not go as well as you’d hoped. How can you get the results you want if you don’t know what those are? So the first step of trade show marketing is finding your “why” and setting goals. Figure out exactly why you are exhibiting at this trade show. Exhibiting at a trade show is no small expense, especially at larger events. Think of the long term planning as well as the costs of the booth and space itself. Will it be worth the investment in the long run? Once you discover the reason for having your company represented at a trade show or convention, it’s time to set clear goals. 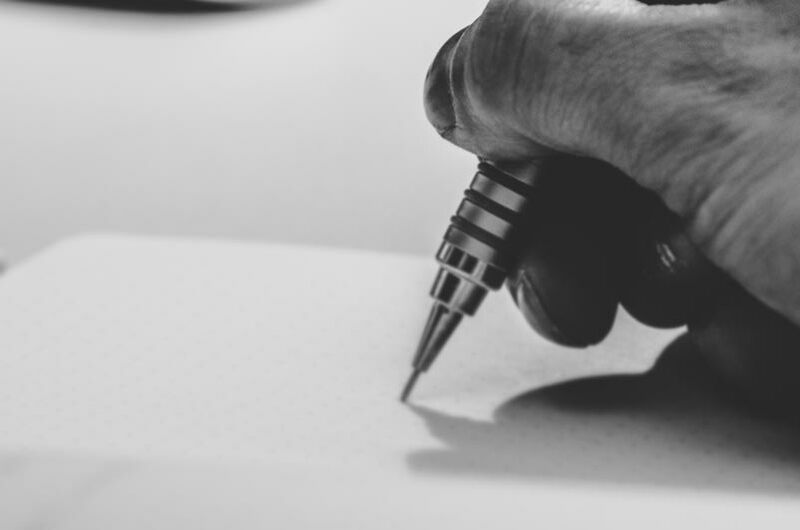 For example, instead of saying you want to generate new leads, write down exactly how many you want, how you plan to get them, and how to follow up with them after the trade show. This will direct your marketing efforts and set you up for success. You need to create a compelling and clear CTA before you set up your booth day-of. Otherwise, your potential leads might fall through the cracks. Even if they like your product, they won’t know how to contact you, how to buy it, or what else they should do. Before you start marketing, design your trade show booth and message. How will the attendees remember you? How will you stand out from the crowd? How will you represent your brand? Answer these questions first. They might help narrow down your marketing strategy. Give yourself plenty of time to plan and run marketing strategies before the trade show. It’s a good idea to start planning 12 months in advance. But if you can’t make this timeline work for your business, give yourself at least six months to get ready before the trade show. Don’t wait any longer than this. If you do, you’ll end up rushing through marketing techniques, run out of time to use them effectively, and not get the results you want. Also, it is good to build in extra time in your planning timeline to account for any setbacks you may have. There are many things that may go wrong along the way. Being prepared for worst-case scenarios will cause less stress and less last minute decisions in the event something does happen. One marketing campaign isn’t enough to gain attention for your trade show. Instead, you should choose multiple different methods and use them all. Different marketing strategies will allow you to reach different audiences on different platforms. 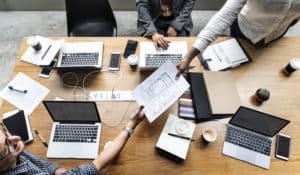 Multiple marketing campaigns are always better than one, even if that one is seemingly perfect. Having multiple marketing strategies also allows you to hit your target audience multiple times, perhaps making you stand out and be more memorable. Here are eight types of pre-trade show marketing techniques you should consider. Start your marketing by creating a list of contacts for outreach. These contacts can consist of your current customers, known prospects, and other contacts. Let these people know you’re going to be at the event. But don’t stop there. You should also build up the trade show itself. This can encourage people to go if they weren’t planning on it originally. This will also ensure you have as many potential clients and customers there as possible. You can also build a list of registered attendees. Since they’re already going to the trade show, let them know you’ll be there and where they can find you. Nearly 80% of people in the United States have at least one social media profile. Many of them have several. Odds are that’s also where most of your audience is, so it’s the perfect place to promote the event. You can post about the trade show on your social media accounts. Let your audience know what it’s all about and that you’ll be going. Inform them where exactly they can find you on the trade show floor. Also, if you have any incentives, giveaways, or games planned, be sure to note this in your posts as well. It can build up excitement and give attendees more of a reason to stop by and visit your booth. You can also make short videos to catch their interest. Videos are a more exciting and interactive way to deliver your message and will also be more memorable for your audience. But don’t rely on your posts alone. 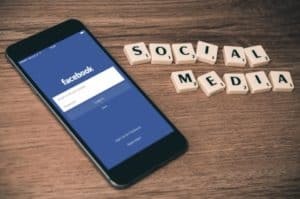 Create some targeted social media ads as well. These ads can get clicks from a much larger audience. With targeted social media ads, such as on Facebook, you can choose the demographics, age, gender, work, education, etc. of who you want to reach with your posts. This ensures that you are reaching exactly who you need to with your messaging. Launching an email campaign is a quick, cheap, and effective way to market for an upcoming trade show. It also gives you a way to track how much engagement your emails are getting. By looking at click-through rates and open rates, you can get a good idea of how many people are interested in the event. Your email campaign should consist of several different emails. To begin with, you should send an introductory email about the trade show to let people know that you’ll be attending. Depending on who you are targeting with these emails, there is a chance they may not be knowledgeable about the event. Provide them with a brief summary and information about what they can expect from your company if they attend. After that, you’ll have to send follow up emails to remind them (we’ll touch more on that below). Don’t forget to use the power of SEO in whichever marketing strategy you choose. For example, create a sharable blog post on your website announcing that you will be exhibiting at the trade show. Be sure to find the right keyword density, write attention-grabbing headers, and use appropriate images. Also, make sure the page is SEO optimized in terms of titles, length, linking, etc. 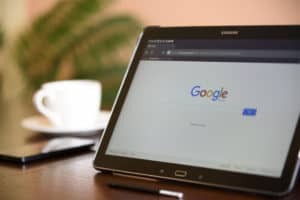 When using Google Ads, they won’t be very effective if you don’t know what type of trade show keywords people are searching for. Find out what it is people are searching for, and make sure your ads and campaigns are all SEO optimized to meet the needs of what your audience is searching for. While direct mail marketing may not be as common as email marketing, it’s far from dead. In fact, sending direct mail to your contacts can be an effective way to make them aware of your event. By sending something like a postcard—especially one in an interesting shape, you put the trade show on people’s minds long before it happens. But not only that, the postcard stays in their house. That means, depending on where they keep it, they’ll see it every day. This not only reminds them of the event, but it can also build excitement. While this is a good strategy for anyone, it works best for people you already know will be attending the event. So find that list you made of the trade show register attendees and send them some direct mail. There are a few, more targeted marketing methods you can also use when it comes to trade shows. For example, you can work with the trade show managers to get discounted registration fees or free passes. You can then offer these to your customers to help encourage them to show up. Save these for people you know will be high-potential visitors. Then, if you can, set up appointments for these people during the trade show. You can even set up a smaller event for your customers during the trade show itself. Let yourself get creative with targeted marketing approaches. You may want to consider building a trade show landing page. Make sure this page includes your CTA and more information about the event. You may also want to include extra resources your customers might find helpful. Most importantly, like in any email marketing you may do, state where your booth or display will be located at the event. This makes it easy for those who are interested to find you during the show. You want to make it easy as possible for potential clients to find you, or they won’t bother to go out of their way at all. If you do choose to create a landing page, don’t forget to make the landing page mobile-friendly. After all, almost 60% of all internet searches come from mobile phones. If your content isn’t responsive, you might lose a potential client. Remember when we said you would have to follow up with people as part of your marketing campaign? Don’t forget this step! Otherwise, people who were planning to go might forget and not make it. Email your contacts a “save the date” notice. Make sure you include your booth number and any incentives in this email. Create some social media posts that have the date and your booth number. If you’ll be using any hashtags during the event, include these in the posts as well. Send out another email with all the information your guests will need to know. This includes things like your booth number, promotional giveaways, CTAs, and more. Make several social media posts about the trade show to keep people updated. You can post about your booth number, other highlights about the show, information about the surrounding area, trade show tips, and giveaways. Use your social media to post pictures of you traveling to the event. Take pictures of you setting up your booth, and create “almost time” pictures to share. Before you get carried away with these pre-trade show marketing strategies, make sure you set a marketing budget. If you don’t, the costs can add up fast. If you don’t take the time to do some pre-show marketing before your event, you won’t get the results you want. Trade show marketing is one of the most important parts of your event, so don’t forget to start early! Need some help getting ready for your trade show? We can help! Click here to take a look at some of our trade show services. Picture the scene: You set up your little trade show booth table, add a plate full of cookies and feel ready for the day. But right next to you, a huge company giant sets up a glorious display that puts your humble booth to shame. Why do these business giants put in so much effort? According to stats, 80% of visitors said they would buy a product or service that they interacted with at a trade show. Yes, making your trade show booth a success can get you a lot of new customers. And that’s what makes them worth the investment. But you don’t have to feel intimated by those huge company giants. The key is to create an awesome trade show booth design that will make YOUR brand stand out in the crowd. How can you make it a success? Read on for the best trade show booth design tips that will give those company giants a run for their money. Of all the trade show booth design best practices, this is something you should never forget. Stay on-brand! Your branding defines your company and should run throughout every aspect of it. From your business card to your website, your branding should be visible. It’s the key to successful marketing. You could incorporate all the best booth ideas on this planet. But there is nothing worse than a trade show booth design that is irrelevant. It may even cause confusion among visitors. Keep your branding clear and consistent throughout the entire booth area. From banners and freebies to interactive experiences and leaflets, make sure you stick to your theme. According to research, you only have 30 seconds to make a good first impression. But with so much competition at trade shows, you’ve probably got a shorter window. If you want your brand to stand out from the rest, you need to create a visually engaging booth. Bright colors can help you to stand out, but only if they are matching your brand. Bold designs with huge banners and interactive displays can catch the eyes of the crowds. Huge props can also draw attention. For example, if your company has a connection to vehicles, bring in a car to display. Make it part of the booth design, or use it as part of an experience. A really cool way to create a visually engaging booth is to set a scene. Create an entire scene that has its own vibe. Think about it for a second. If your trade show booth was a place, where would it be? For example, if you’re in the tourism field you could create a vacation destination scene. Start off with a tropical looking backdrop and include deck chairs, inflatable pool toys and more. Complete it with a vacation themed photo booth with props and you’ll have customers lining up to join in the fun. Even if your company doesn’t have as much scope, you can still create a fun experience. For example, a tech-based company could create a coffee shop scene where they can try out products while they sip on a free brew. If the visual effects don’t attract customers, the aroma of freshly brewed coffee will! But while you’re creating your trade show booth design, don’t forget the basics. You may get carried away with all the bells and whistles, but a trade show booth is nothing without a grand presentation area. Once you’ve got the right set-up, you’ll be ready for a grand presentation. But without this, you may find yourself lost in the crowd. Many trade show booths follow the same pattern and can cause attendees eyes to glaze right over your booth. Give visitors something they can play with and enjoy. Some products are easier to turn into games than others. For instance, anyone selling video games or consoles can set up a gaming area. 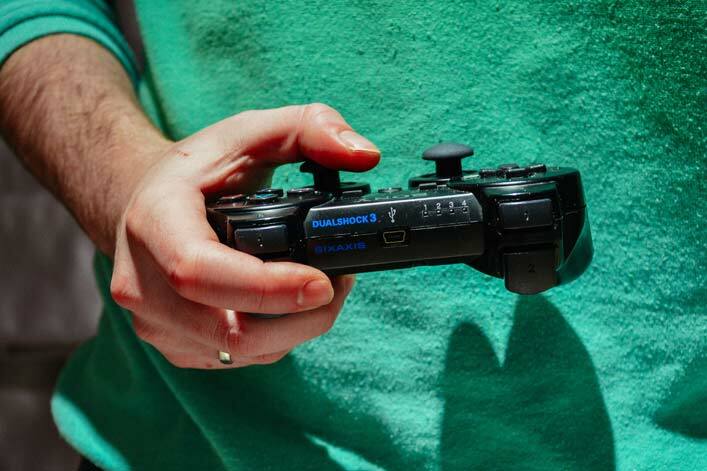 If it’s not so clear how to turn your product into a game, you may need to get creative. If you’re selling beauty products, have a guessing game where the winner wins a free makeover. Try a prize golfing putt experience to win a prize. 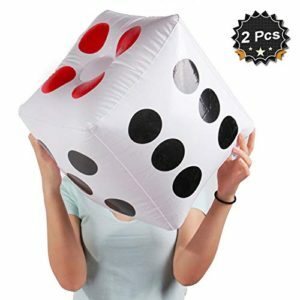 Or simply roll a huge dice to win a competition. If games aren’t appropriate to your brand, try a unique experience instead. For example, Charity Water created an experience their visitors will never forget. They invited attendees to walk with two large jugs of water to give them the same experience as villagers in developing nations. This experience, no doubt, touched the heart of many booth visitors and encouraged them to donate. Of course, whatever experience you come up with, it must match with your brand. Relevance is key! Creating a digital experience can attract people to your booth. If it’s exciting enough it may draw in crowds. But, not all brands are as simple to display as others. You’ll have to think outside the box to make your brand interactive. Touch screens are one of the best pieces of tech to incorporate into your trade show booth design. They can display almost any kind of business. Another great idea is to create a virtual reality experience. Online live streamings, video walls, and live presentations are also great techniques. They can create an interactive experience that will draw in the crowds. You and your team should wear promotional merchandise as you walk around the event. But it’s not only your team that can do advertising for you. Handing out free swag to trade show visitors will turn each wearer into a walking advertisement. Make sure your trade show booth displays your swag so that it’s visible to the crowd. The aim should be to draw them in, not to pick up freebies and walk on by. As well as swag and branded merchandise, another trade show booth design trick is to be hospitable. Entice potential clients into your booth by giving a warm welcome with your generosity. For example, have a relaxing area with bean bags or comfy chairs. Give out free beverages, such as tea, coffee or even bottles of water. When the customer feels “at home” and relaxed, they may be more inclined to chat about your products. If you’re in the food industry, giving out free samples should be a major part of your trade show strategy. You could even combine this with a demonstration of how to make one of your delights, or how to use it in a recipe. The plate of cookies mentioned at the offset wasn’t a bad idea after all! Whether your booth is small or large, make the most of the space you have. Some trade show locations are tight for space, but the ceilings are high. Why not build up to use every square foot to your advantage. You could use huge vertical banners or tie huge floating balloons. Or you could even build an upstairs section to your booth. You could use this as a hangout spot, or an area for some kind of interactive experience. If you have more floor space, use it wisely. Have an area for chilling, an area for discussing the product or service, and somewhere they can enjoy an experience. Don’t over clutter the area. If you’re short for space, you may need to cut a few features out. Less is more when it comes to trade show booth designs. These ideas will make, even a small space, look grand. As mentioned, your branding is vitally important when creating your trade show booth design. But if your branding isn’t well known, some customers may not know who you represent. It’s important to display your name EVERYWHERE you possibly can. Even globally famous brands, like Samsung, don’t take their recognizable brands for granted. They always feature their name somewhere. Having your name plastered everywhere will help potential customers to know exactly who you are and what you represent. It’s clear to see that when planning your booth design, you need to think outside the box. Unique experiences, stunning displays, and a welcoming environment can make your booth steal the show. Now you’ve filled your head with grand ideas, what’s next? You surely can’t create an awesome booth yourself. Contact us today for the best trade show booth designs. Are you ready? Let’s bring your idea to life! 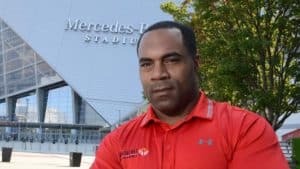 Jamal Lewis, former NFL champion and running back for the Baltimore Ravens will have a segment to premiere on September 13th, 2018 before the Baltimore Ravens face the Cincinnati Bengals on Thursday. In this short video, Jamal’s incredible story post-NFL career is showcased along with his work, family, and home life. The film shows Jamal’s success in the trade show industry and in many other promising ventures due to his entrepreneurial spirit and constant drive for success. 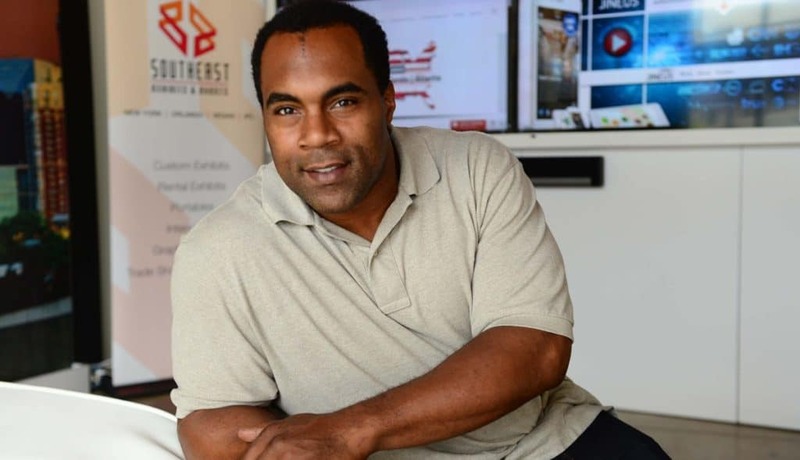 Metro Exhibits is proud to have Jamal Lewis as our colleague and partner. His life after football has been an amazing story of perseverance, family, and friendship. Jamal is one of two former NFL stars to work with Metro Exhibits, working alongside former Giants and NFL champion Ottis “OJ” Anderson. Tune in live to the NFL Network on Thursday, September 13th to see the premiere of Jamal’s amazing story. The very best trade show games are those that are different and persistent. You need ideas for games that will help your business stand out and get noticed at a convention. Some of the best marketers know how powerful games can be at expos. Jonah Berger, in his study of what makes something likely to be shared acknowledges “gamification” as a known catalyst for word of mouth marketing. In a very real sense, most of us are hardwired to notice games and are excited to participate or watch- and more importantly, share their experience with others. Also, notice the keyword, “excited” in that last sentence. You are attending a trade show to get people’s attention and get them excited about buying your products or services. 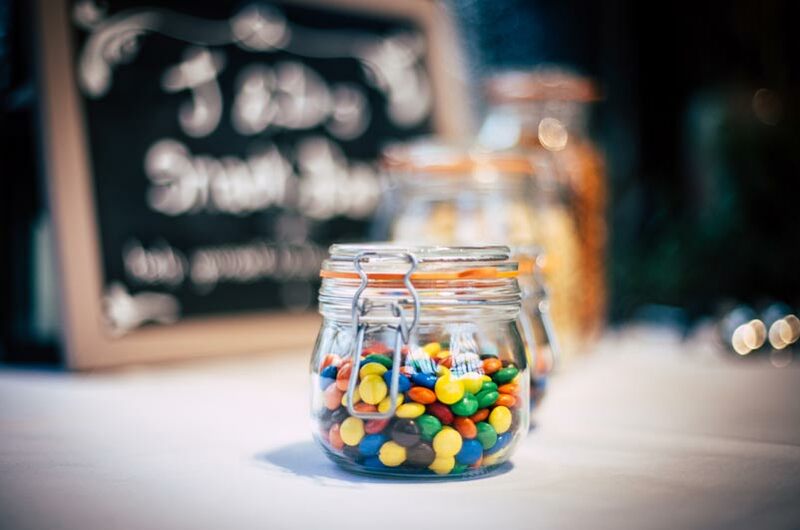 This is why incorporating game ideas for trade shows could be a fantastic way to create some buzz, other than of course your trade show booth. Trade show booth rentals are a great option for this reason- so that you can keep your brand image up to date without the added expense. Custom trade show booth builds can also add the appeal, but a good budget is needed. 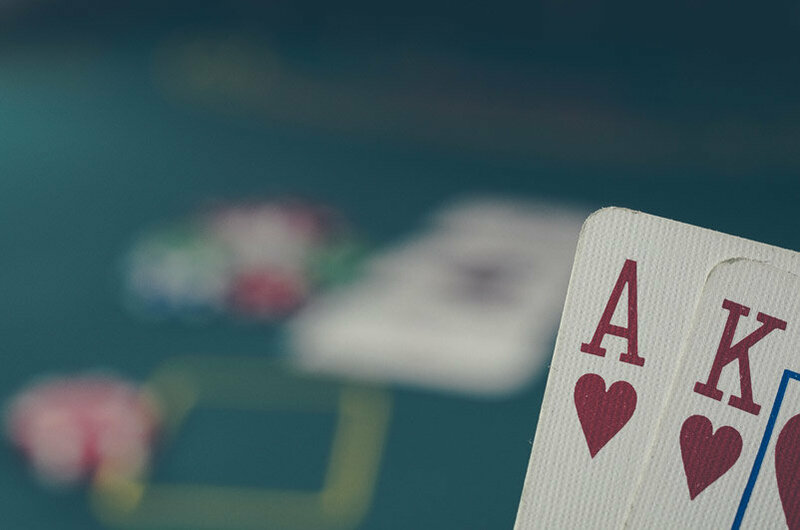 Now that you understand the strategy behind trade show games, here are a few ideas for your next event. Also you should know, as an Amazon Associate we earn from qualifying purchases- but our goal is to simply give you ideas for the best in trade show game options, and at the end of the day you choose the best game idea for yourself. 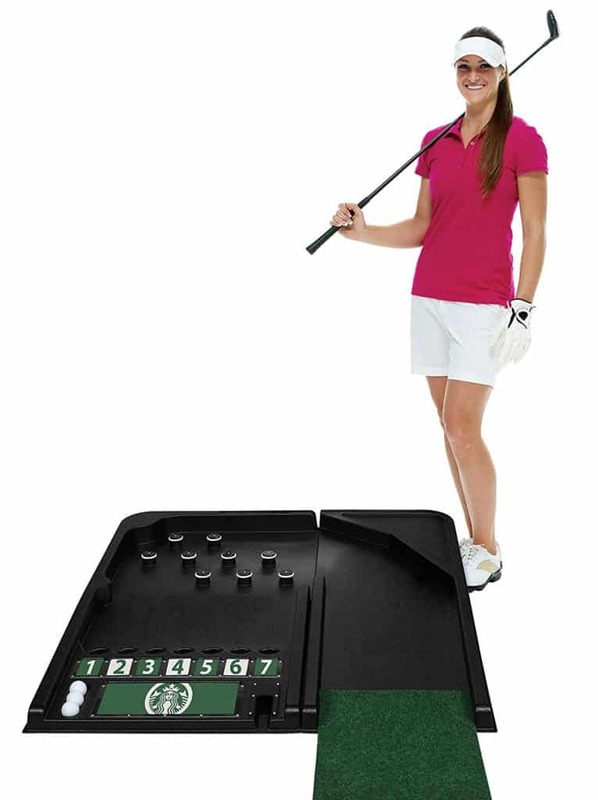 The prize putt is a great game that doesn’t take too much skill if you buy the right style. Ones that are more luck than skill tend to get a lot more people to play. Give it a shot, this trade show game gets a lot of booth traffic. If done right, it may just get you some leads too. One of the more unique ideas that we’ve seen is the Matching Contest. This game works by offering stickers to wear on the front of their clothing. These stickers would be printed with a number, symbol, or the like, of which two of every variation of stickers would match. So the contest would require attendees to find their match at the show and come back together to your exhibit to win a prize (say something nice like big screen TV). Can people see others associating themselves with your product or service? If you get enough people to play the game, you extend the visibility of your brand to various parts of the show. 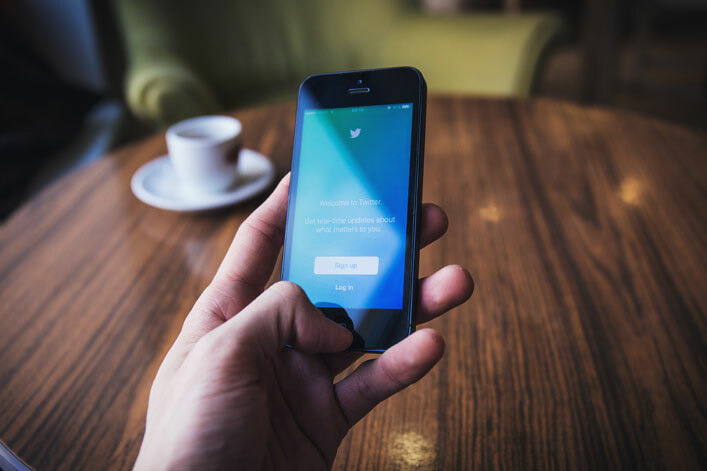 Companies are taking a tactical look at using Social Media channels for trade shows and why not mix it into your gaming strategy? One customer of ours used a large flat screen to show all the latest Tweets with specific hashtags on Twitter. Next, they had attendees tweet at them using that hashtag (#companyxcontest), selecting 1 lucky user every hour the show floor was open to collect a prize. The company would then tweet back notifying the attendee of the win. #Score. As some know, all tweets that include your specified hashtag gets its own folder in Twitter, where all of those tweets can be viewed in one place. This way, you can measure you marketing efforts quantitatively. There are a few people who may be at a conference because their boss told them to go and they are just looking for a fun time. They might not be the best people to do business with but they could help you attract people to your exhibit. What better way to attract visitors than to have some attendees having fun at your booth? More social gaming consoles like Nintendo’s Wii can create a buzz for attendees walking the trade show floor. 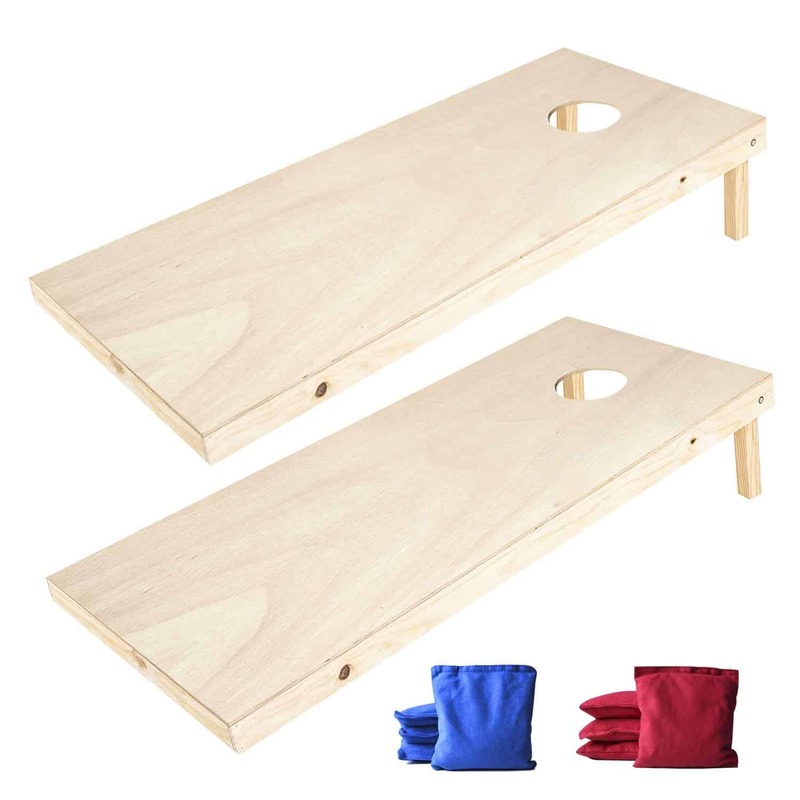 Choose a fun game that will be universally appreciated by both genders, and keep track of the high score of that game. If someone beats the high score offer a prize and update the score. Again, the more social the game the better. The more people that can play at one time- the more buzz you will generate. Free stuff is always a good reason to stop at a booth. 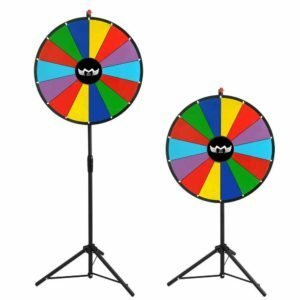 The prize wheel could serve as the simplest and effective icebreakers all the event game ideas. Making a game out of getting free stuff should incorporate some competition. If you give the opportunity to win small and big prizes, it turns into a competition. Not only are you getting something free, but you want to try and win big. Prospects can spin the wheel if they give you a business card. You can then give them promotional giveaways or even coupons. If you use this trade show game idea, make sure it is accessible. A friendly staff member should stand in front of it and invite people to participate. Far more people will participate if someone asks them to spin the wheel. It’s common nature to be on the edge of wanting to participate in a game, and sometimes you just need that extra push. Prize games are the best, as long as it’s a great prize. Rolling doubles is an easy concept and quick. People would be interested in this because it won’t waste a lot of time, but it’s a great conversation starter and you can grab their contact info in the process. Make sure you offer a great prize, like an Echo Dot, a Fire Stick, or a Tile Key Finder. This is one of the more common ideas used at trade shows, although it can be very effective. It gives people the opportunity to show off their knowledge in front of their colleagues. If you first focus on giving that person a moment of glory, they usually then give you the courtesy of some attention to what you and your company provide. Placing the convention attendees’ interests first can always open the conversation up in a way that’s less aggressive. If they answer a tough question correct, and then get rewarded with a prize… you may have just made their day. That is then associated with your brand. Get give us your information, get a prize. We’ve all seen this before. Using idea is as simple as getting trade show attendees to drop their business cards into a fishbowl and then draw prizes. This approach may be simple but it can also be highly effective for getting attendee information! If the event is filled to the brim with your target audience, your goal should be to get as many attendee information as possible. This trade show game strategy could be the one for you. Another game idea is to have a container with a certain number of objects, like candy or marbles. The person who comes closest to guessing the amount gets a prize or a discount. Like other games, it can serve as an ice-breaker that can foster communication between your representatives and trade show attendees. It’s a great way to get their information as well so that you can contact them if they won at the end of the show. This is yet another example of a simple and effective way to get information from your target audience. Ah, yes of course! Plinko is a classic game that always brings a nostalgic fun to the trade show floor. Have someone fill out a contact form for a chance to win a prize. Make the prizes something fun- but useful. This is something that people are familiar with and would have an easy time stepping up to give it a shot. The best games for any expo are ones that people actually play. Give it a whirl! Using one or a combination of these ideas will help you gather information in a way that’s fun for the visitor. However, the success of the game is not all up to the game itself. Games attract people who walk right past your booth. You cannot do this without a good first impression. As always, make sure your booth is naturally eye-catching and has a great design to get the attention of attendees that are far away from your booth. Your game is not the first impression someone has of your brand- your display and your brand imagery is what catches their eye and attracts them to your booth. We see a lot of exhibitors believe their game choice was the problem when in reality their booth was not a good representation of their brand, which in turn affects their booth traffic. 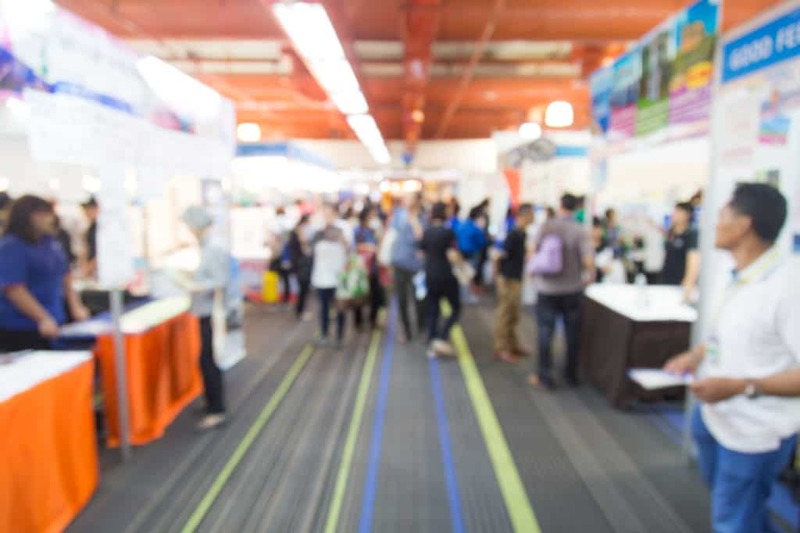 Remember the most important thing you can do at a trade show attracts visitors, meet people, collect their information, and cultivate a positive relationship. Good luck with your game choice and always remember to cater the marketing strategy to your audience. Create a goal that can be measured (ex: number of booth visitors to the number of visitors who’s information was gathered) to determine your game’s success. Think of the places in your life that catch your attention and make you feel that you just can’t pass them by. Now imagine hundreds of places close to each other all vying for your attention. Reduced to its basics, that’s what a trade show is all about. That’s why the most important thing you can do is get a custom booth artfully designed by experts in attracting attention in meaningful ways. The experts at Metro Exhibits design and build custom booths to your specifications. They’re experts in what works. Remember, you’re at the show to generate leads. If you don’t capture attention, you won’t capture leads. Exhibiting at a trade show is a marketing activity. Every company that exhibits has an event marketing strategy. That marketing strategy includes a position statement and product or services descriptions. Display your messages with clarity and prominence. Reinforce who you are. Make clear what new, enticing offering you’ve come to the trade show to announce. Make them feel they just can’t pass by your booth without finding out more. Font size, color, signage dimensions, placement all come into play. Watch your expenses. Is it better to purchase or rent a booth? Is it sometimes better to do one or the other, depending on the distance of the trade show from your nearest office? What about storage options for your booth that can eliminate shipping costs? International exhibitors in trade shows in the U.S. can avoid customs and other costs by storing their booths inside the country. Be smart about travel expenses for your show staff. Keep the staff as lean as you can. Be sure to take advantage of room blocks set aside by the exhibit in a timely fashion. It’s always best to book rooms early since they can always be canceled, and to book flights as early as it’s known who will attend as flight costs can go up dramatically over time. 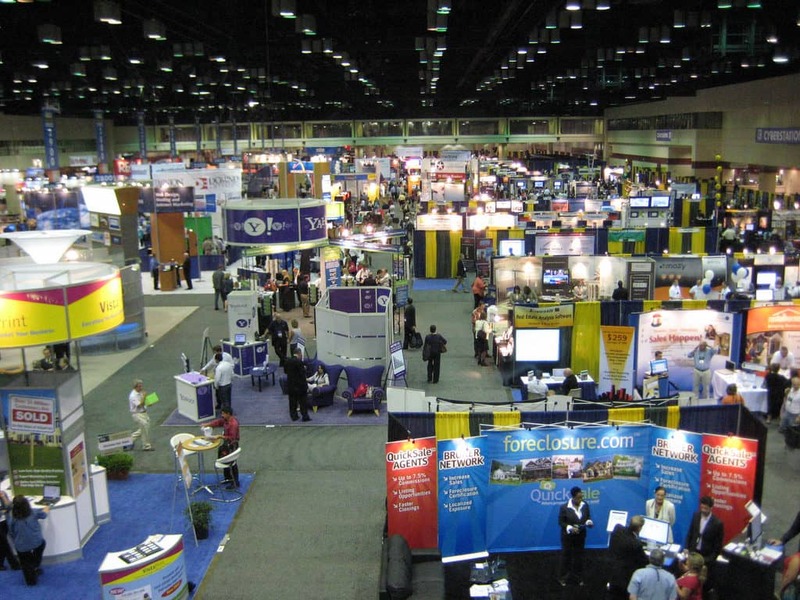 Learn how the organization holding the trade show allots floor space to exhibitors. If you have exhibited before, lobby for a better position than the one you had last year. Make it part of your negotiation. Study the show agenda. If there are breakout sessions, find out when and where they will be on the show floor. Try to position your booth where attendees will congregate for refreshments or lunch. If you do not know the venue, ask to see the layout. Find out where the educational sessions will be held and try your best to position your booth in a location that attendees will need to pass repeatedly. Ask Metro Exhibits for help. There isn’t a venue or a show where we have not done work, or do not know intimately. Every trade show has a landscape and you want to find yourself in the optimum location in that landscape. It’s important that your booth not be much smaller than those of your competitors. But size is certainly not the only thing that matters. In fact, a large vacuous booth that is not interesting or does not make the kind of statement you are trying to use to attract and retain customers will backfire. Evaluate your options and costs. Learn as much as you can about your competitors. Study the developing Exhibitor List. Ask for it if it isn’t posted on the website. Decide what size you can afford and then consult experts in designing and building booths that make an interesting, meaningful statement. Don’t miss deadlines. Nothing looks as bad as your company or product description on a loose sheet of paper slipped into the Exhibit Guide. It makes it seem as if your attendance at the show is an afterthought, or worse, that meeting deadlines is an issue at your company which may very likely surface when you deliver the product or service you are offering to customers. 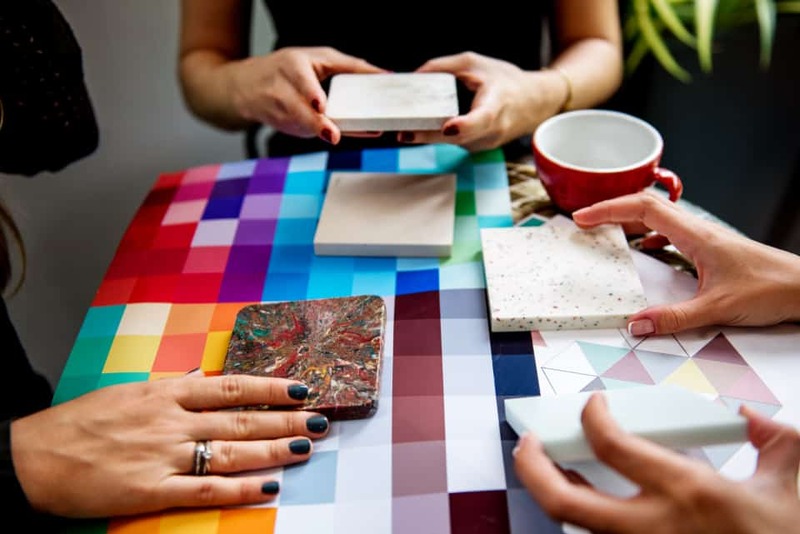 You will want to be stocked up on materials to ensure that every last detail of information regarding your exhibit is displayed in a professional and attractive manor. You might also be interested in merchandising and other promotional materials to help sell your business to attendees. It is all about how you present yourself. Store your descriptions in a place where you can go right to them. You want to know how your description appeared in last year’s Guide, and make changes if changes apply. Preparing for a trade show appearance requires project management. We can help. Ask about the Metro Exhibits Trade Show Checklist. We’ll send it to you. You know the profile of your prospective customers. You should also know your existing customers. If an updated attendee list is not available on the Exhibition’s website, ask for it. Know who is coming to the show. This is an occasion to reconnect with your existing customers. If there is an issue with any of the existing customers planning to be present, your staff at the booth should know about it. However large your company may be, don’t make it seem so large that you don’t pay attention to your customers. The prospects on the attendee list are the main reason you have invested in the trade show. You should know their names, what they look like, their positions at the company, how long they have been in those positions, the size and location of their companies, plus any other relevant details you can gather. From LinkedIn and company websites alone, there is just too much information easily accessible that you should not know as much as possible in advance about the prospects you hope to draw into your booth. 8. Send Personal Messages in Advance of the Show. If the attendee list available to you does not include email addresses, do your best to find them out. There is no harm in guessing at the structure of an email address that does not seem available. It will only result in a bounce-back. Send out a meaningful, personal email saying something about what you will be showing and how much you are looking forward to a booth visit. The more your email message looks like a mass email sent at the last minute, the less effective it will be. Remember, every action you take is a marketing action that creates an impression. Every marketing action should be aimed at achieving your sales goal. This is the reason you have invested in the trade show. When a prospect enters the sphere of your booth, deliver your message for sure, but also listen actively to what the prospect says. Take notes on the back of the prospect’s business card, or on an iPad after the conversation ends. Write down questions you were asked or trace where the conversation led, even in non-business directions. These details will be useful in your follow-up. In your email or telephone follow-up, you may have to remind the prospect that you met. It’s easier to do that with specific details. Answering real questions is your first delivery on your company’s offering. Make it work. This list will include late sign-ups and walk-ins. Find out how long it will take to get this list. Don’t wait for the list to do your follow-ups. You already have the last published attendee list before the show. Most of the names will be on that list. When you do get the post-show list you can always compare and do the same follow up to this smaller list of additions. The attendees at the show fall into two groups: those who stopped by your booth and those who did not stop by. Both groups include your existing clients and prospects. Usually, different people at the company are responsible for clients and prospects. Let’s focus on the prospects. Send them personalized emails including details about your conversation. If you were asked a question, answer it. The goal here is to get an exchange going. Because emails can be sent out quicker than phone calls can be made, send emails first and follow up with phone calls. Rate your prospects from top to bottom. If you cannot get to all of them in a timely fashion, contact the most promising first. You should, however, get to them all, because when a lead turns into a sale is not always dependent on your offering. It often depends on the prospect’s timing, which is not always apparent. Remember, the entire reason you have invested in the trade show is to generate leads. Eventually, someone will compare the cost of the show to how much business was generated. If you don’t follow up effectively, you are throwing away your investment. Take back to your office more than one copy of the Exhibit Guide, and read through the session descriptions. Give additional copies of the Guide to other members of your company. Although this information is also probably listed online, the book itself is a good reminder to read about the sessions. If you were lucky enough to have a representative who gave a session, find out who attended and what questions were asked. Find out what companies were in the audience and match these companies to your prospect list. The sessions are a guide to what is considered important in your industry at the current time. If there are session topics about which your company is unaware, bring them to management’s attention. Learn from them. Actually, it is more like a magazine or television show, in which the attendees are like readers or viewers, the exhibitors like advertisers, and the educational sessions like the editorial in the magazine or the content of the TV show. The attendees come for the content, and they come across the exhibitors on the way to that content. 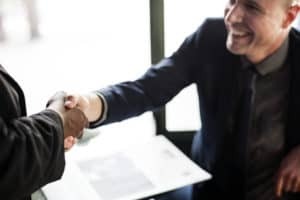 Your job is to lure them into your space with the excellence of your booth design, the intelligence and relevance of your messaging, the product demo or conversational exchange, or both, that you conduct. All the work you do to prepare for the show, and however well you perform at the show, can only be measured by the leads you generate and the disciplined way you follow up those leads. Contact us. Metro Exhibits will evaluate your trade show needs and make recommendations. We design, build, and print all signage for your trade show booth. We have purchase and rental options. We ship, store and install booths. We advise you on the best way to manage your trade show expenses. Our goal is to make your trade show experience a success.